Ster-Kinekor continues to deliver premium Bollywood movies this month, with the release of Jai Gangaajal and Kapoor & Sons during March. Prakash Jha returns to the director’s chair for the upcoming Hindi action drama, Jai Gangaajal. 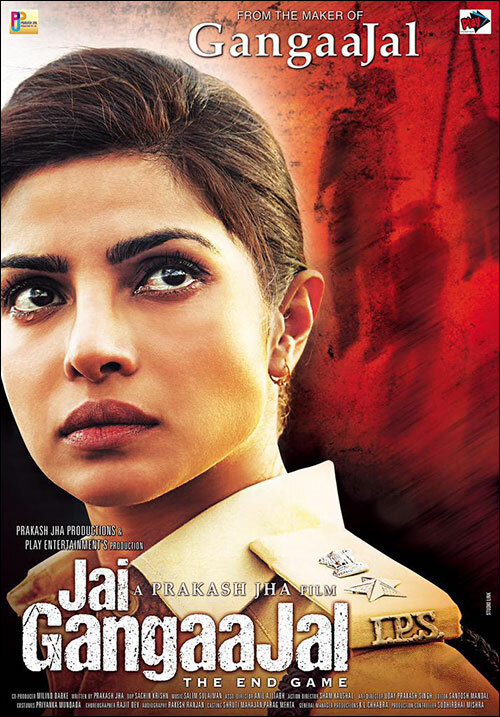 Starring Bollywood bombshell Priyanka Chopra in the leading role, the film revisits the dusty heartland of central India, examining the relationship between society and police. In the film, Chopra gives a hard-hitting performance as a female police officer – an exciting new role for the actress and something new for her many fans. Speaking about the film, Chopra explains: “It’s a relevant film, which talks about many things, including feminism and corruption in the system.” It will be so good to see her in a new avatar after watching some 11 episodes of "Quantico" TV series. If the pre-release hype is anything to go by, this film is definitely worth watching. It releases at select Ster-Kinekor cinemas on Friday, 04 March. Also releasing later this month is the light-hearted romantic comedy, Kapoor & Sons. The film’s storyline follows a dysfunctional family, and all the issues around love, conflict, secrets and lies that surface at a family gathering. Directed by Shakun Batra, the film features the popular onscreen pair of Sidharth Malhotra and Alia Bhatt alongside Fawad Khan in the lead roles. This modern family drama also stars Rishi Kapoor as the grandfather of the male leads. Jai Gangaajal and Kapoor & Sons are both releasing at Ster-Kinekor cinemas at The Zone in Rosebank (JHB) and at Gateway in Durban, on Friday, 04 March and Friday, 18 March respectively. The film focuses on SP Abha Mathur (Priyanka Chopra,) who is appointed as the first female police officer of Bankipur district, Bihar. As she confronts some powerful and influential men in her district, issues such as the relationship between society and the police become central to the storyline. This crime drama has a running time of 2hrs and 29mins. 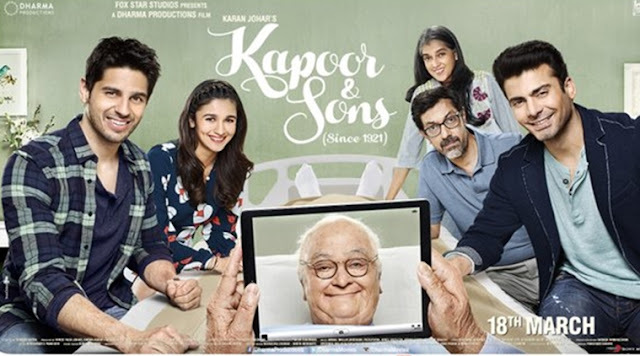 Rahul (Fawad Khan) and Arjun Kapoor (Sidharth Malhotra) play two estranged brothers who are forced to return to their childhood home when their 90-year-old grandfather wants to see them. While all living under one roof, family secrets unravel, misunderstandings ensue and Rahul and Arjun both fall in love with the same girl! For more information on these Bollywood films and to make bookings, visit the website,www.sterkinekor.com,or www.sterkinekor.mobi. Download theSK App on your smart phone. You can also book at the box office Follow @sterkinekor on Twitter or Ster-Kinekor Theatres on Facebook. For queries, call Ticketline on 0861 MOVIES (668 437) or book at the box office.